This policy dilemma generates visceral reactions from a range of stakeholders and interest groups, but the governing legal framework is complicated. Ecology protects instream resources through regulations that set minimum flows. Washington law considers these instream flow rules to be water rights that are protected under the priority rule from impairment by junior water rights. As part of its typical permitting process, Ecology conducts a pre-approval impairment analysis that considers whether the proposed water right will impair any senior water right including an instream flow rule. However, in the rural areas, domestic water supply is often obtained by “permit-exempt groundwater withdrawals” – water obtained from private wells that are exempt from Ecology’s permitting system but are treated as water rights. Because these withdrawals are expressly exempt from Ecology’s permitting system, Ecology does not conduct a pre-approval impairment analysis to ensure the new appropriation does not impair instream flows or any other senior water right. This situation is further complicated by the fact that many of Ecology’s instream flow rules (those that were adopted prior to 2001) do not purport to address permit-exempt withdrawals at all. Several interest groups seeking to protect instream resources from permit-exempt withdrawals have turned to counties to provide regulatory oversight, arguing that the Growth Management Act (GMA) requires counties to restrict or prohibit development relying on permit-exempt withdrawals in areas where instream flows are not met. In Hirst v. Whatcom County, the petitioners relied on the GMA’s language directing counties to adopt “measures that apply to rural development and protect the rural character” by protecting “surface water and groundwater resources,” among other things. 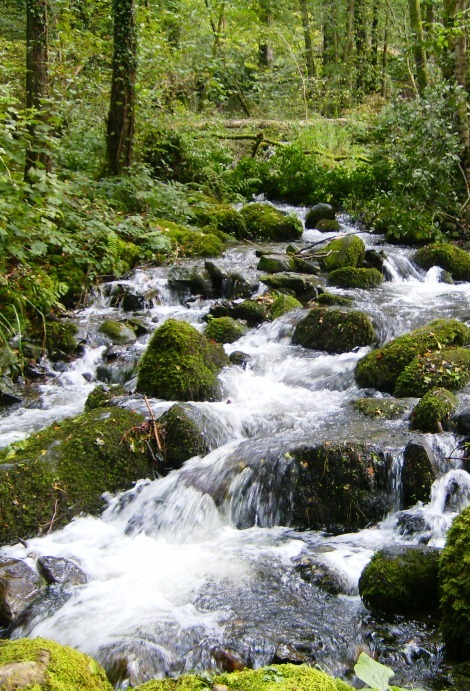 Petitioners argue that this general language requires counties to protect instream flows, even though Ecology does not, by prohibiting permit-exempt withdrawals in areas where they would impair instream flows. Whatcom County (represented in this litigation by Van Ness Feldman) argues that its existing regulations comply with the GMA requirement because the regulations prohibit new development that relies on water that Ecology has determined by rule are not available. Moreover, the County argues that the Petitioners’ position would upend the regulatory system governing water rights by inserting the County into roles and responsibilities currently allocated to Ecology and superior courts. The petitioners prevailed before the Growth Management Hearings Board, but the Court of Appeals reversed. On appeal before the Supreme Court, the case generated significant interest, with many stakeholders appearing as amicus curiae. The Court heard oral argument on October 20, 2015, and a decision is forthcoming. In the background, Ecology has convened a stakeholders group to try to address this issue outside of litigation. Ecology convened the “Rural Water Supply Strategies Workgroup” in recognition that its efforts to balance instream and out-of-stream resources “has been a significant challenge…” The State Supreme Court’s recent decisions have greatly impaired Ecology’s efforts to balance these competing needs by restricting Ecology’s use of a statutory exemption that would allow impairment of instream flows where there are “overriding considerations of public interest” (OCPI). In part because of those decisions, Ecology’s recent efforts have focused on mitigation as a remaining tool to address this dilemma. The report stems from those efforts. The report outlines challenges to mitigation for permit-exempt withdrawals and describes several mitigation approaches including “in-kind” as well as “out-of-time,” “out-of-place,” and “out-of-kind” mitigation or other approaches. Immediately prior to its publication, the State Supreme Court issued its decision in Foster v. City of Yelm which has further complicated Ecology’s assessment of mitigation options. Foster addressed Ecology’s reliance on OCPI in the context of a municipal water right application, but the Court’s ruling against the City’s mitigation strategies casts doubt over many mitigation techniques discussed in the report. The City and Ecology recently filed motions for reconsideration in Foster, supported by several friend of the court briefs (one such amicus curiae is represented by Van Ness Feldman), and the motions are currently pending in the Supreme Court. Ultimately Ecology amended its report to acknowledge that some of the approaches described in the report “may not be viable” under the Foster decision. Perhaps in part because of the Court’s pronouncements in Foster, the report concludes with a recommendation that the legislature “state its intention clearly” if it intends for any out-of-kind mitigation tools to be legally available. Ecology prepared the report in partial response to Senate Bill 5965, which was introduced in the 2015 legislative session but did not pass. Under SB 5965, Ecology would be required to prepare a report that assesses mitigation techniques, surveys instream flow enhancement strategies (other than regulation of permit-exempt withdrawals), examines scientific methodologies for setting instream flows, and analyzes whether requiring mitigation for permit-exempt withdrawals would in fact result in flow attainment. Some stakeholders have expressed concern that SB 5965 and the draft report exclusively focus on mitigation options to facilitate further rural development and do not seriously consider as an option a restriction on further rural domestic permit-exempt withdrawals which would effectively prohibit further rural development. SB 5965 will continue as a live bill in 2016, and this policy debate will move into the legislative arena in the upcoming session.